Steve Jobs once said, "Good artists copy; great artists steal," a quote he attributed to Pablo Picasso. Interesting words from the man who didn't dream up the PC, MP3 player, smartphone or tablet computer, but did, in many ways, perfect them. The moral of the story is that there's nothing new under the sun, and nowhere is that more apparent than in the business world. According to Oded Shenkar, professor at Fisher College of Business at Ohio State University and author of Copycats: How Smart Companies Use Imitation to Gain a Strategic Edge, the rate of brand imitation now exceeds 80 percent in some sectors, and spreads across everything from breakfast cereal to mobile phone apps. In the $300-plus-billion U.S. prescription drug industry, for example, more than 75 percent of the medications dispensed each year are generics--aka copies. So if the "me too" mentality is good enough for big pharma, it should also be an acceptable practice for startups. But to shake the stigma of "stealing," entrepreneurs need to get into the mimicking mindset. "It starts with acknowledging that imitation is a legitimate activity," Shenkar says. "It's complex, it requires intellectual capability and it can be very smart." So, how do you succeed as a late player in an established category? While the three businesses featured here didn't change the game by inventing entirely new products, each made moves that redefined their fields--ensuring there was room for their companies to play, too. 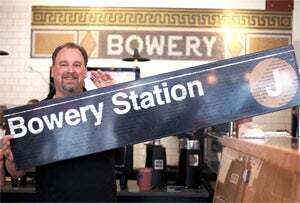 If you bake it, they will come: Bowery Bagels' Michael Madigan. From the Food Network to The New York Times, Portland, Ore., gets plenty of attention as a gourmet hot spot overflowing with offbeat food carts and inspired eateries. But despite being the birthplace of James Beard, the city wasn't always the hub of the artisan food movement. When Michael Madigan, a veteran of the IT world, moved to Portland from New York City 26 years ago, there wasn't an authentic bagel to be found--so he learned how to make his own. Then in 2006, Madigan and other New York transplants got their fix when the Kettleman Bagel Company opened up shop, boiling and baking the authentic treats. But when Kettleman was purchased by national bagel-bakery operator Einstein Noah Restaurant Group in November 2011, the recipes changed, leaving a hole in the market--and Portlanders' hearts. "The Portland food scene is very parochial," Madigan says. "Portland wants a local product, they want a high-quality product. I knew once Einstein took over, they weren't going to have either." Madigan eventually left the tech sector, and in February 2011 opened KitchenCru. The culinary incubator, inspired by his love of food and wine, was designed to help local businesses get their start with both equipment and business insight. It also provided Madigan with the resources to scale up his bagel recipe--and to determine if he had a product that was good enough to take on Einstein. The ability to sort, spot and solve is essential for imitators, notes author Shenkar, and that's something Madigan had honed for years as a tech professional. "One of the things I trained myself to do when I left IBM is to look for opportunities," Madigan says. "That's part of the reason [my wife and I] created KitchenCru--so we could invest in some promising businesses that came through our doors. But part of it was also so we could look for our own opportunities." Sharing KitchenCru's 3,500-square-foot community kitchen with 30-plus clients, Madigan went to work scaling up his recipe to make 500 bagels at a time. The plan was to sell his goods wholesale; however, in order to drum up interest, Madigan opened a pop-up shop every Saturday and sold to the public. Hunger for his product was rabid, and orders came pouring in. In June 2012, Madigan's Bowery Bagels opened its first storefront. Today Bowery is eyeing two more retail locations, and will soon open a new, larger kitchen to ramp up production to more than 9,000 bagels per day. In a short time, it has emerged as a Portland favorite, but Bowery's success hasn't been about reinventing the breaded wheel. "Everyone's working with the same basic set of ingredients," Madigan says. "It becomes a matter of what you do with those ingredients, how you present them and who's your target audience." In other words, seeing a hole, and going for it. Sweet confections: Honey Stinger's Bill Gamber. The Gamber family of Lancaster, Penn., has been in the honey business for three generations. It began with Ralph Gamber, founder of Dutch Gold Honey, the largest family-owned honey company in the U.S., and continues today with Bill Gamber, co-founder of Steamboat Springs, Colo.-based Honey Stinger, a maker of honey-based sports-nutrition products. An avid triathlete, Bill Gamber saw an opportunity in the energy-foods market already dominated by PowerBar and Clif Bar. The basic hook: create energy products using real honey to make them more palatable and easier to digest than maltodextrin-based bars, gels and chews. Author Shenkar points out that the way second-to-market companies contextualize their products is vital to their success. Selecting a particular region to roll out a mimicked enterprise is key to the traction of the brand. In the case of Honey Stinger, though the company has been around for more than 10 years, it has deliberately limited the introduction of its products to the outdoor-athletic and natural-foods spaces, looking to build loyal customers and wider demand from there. As a result, Honey Stinger products are still niche, but have progressed from specialty running and biking shops to outdoor-recreation stores like REI and specialty grocers like Whole Foods Market. "Our distribution has grown nicely," Gamber says, "so when we're introducing a completely new product, we get right into those regions." And that's just what Honey Stinger is doing with its new Stinger Waffle. A first-of-its-kind sports-nutrition product in North America, the honey-flavored energy waffle was brought to Honey Stinger by Lance Armstrong, who took an ownership stake in the company to help get the snack produced. Armstrong discovered a similar stroopwafel pastry while racing in Europe, and thought it would be a great fit for Honey Stinger's natural-ingredients-based product line. So now, after a decade of drafting off competitors' successes in the energy bar, chew and gel markets, it's Honey Stinger's turn to lead the pack. And if the waffle is a winner, imitations won't be far behind. When brothers Tracey and Tim Canaday started building snowboards in 1991 in Colorado, they had no idea it'd take 18 years for them to become leaders in their industry. Their beginnings followed the classic entrepreneurial script--running up credit card debt, scoring small loans from friends and family, driving around in a Honda Civic hawking their decks. "I went to notable shops, and some guys were into it, but most were like, 'Who rides for you?' and 'How are you gonna compete?'" Tracey recalls of the origins of their company, Never Summer. "We had to have something different to offer." That something was--and still is--a premium product manufactured in their Denver factory, where quality control and versatility became critical to the company's identity and sustainability. Four years ago, the nimble facility allowed Never Summer to reinvent the snowboard in a short amount of time, well after the big competitors had already committed to production runs for the upcoming season. 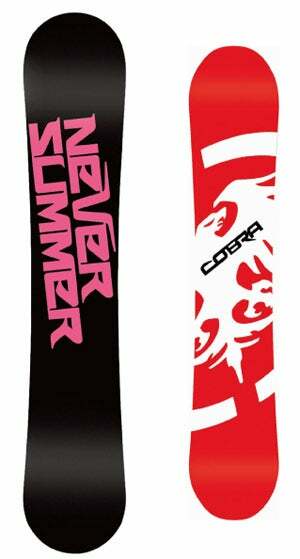 After attending a trade show in 2008 at which the following year's snowboards were displayed and sold, Tim tossed aside Never Summer's lineup and came up with the now ubiquitous "rocker and camber" design that makes the sport easier. After the big manufacturers jumped on Tim's concept a year later, sales of rocker-camber boards took off; in the 2012 season, they accounted for 70 percent of all snowboards sold. Never Summer's annual revenue is around $10 million. Roughly 15 percent of that comes from tiny local ski brands that hire the company to produce small-batch runs numbering in the hundreds--another benefit of the Denver facility's agility and community presence. Flexibility and speed--key capabilities of successful copycats--have helped Never Summer go from a small, cherished Colorado company to one of the industry's technological leaders. "We'll always keep pursuing new patents, new designs, new innovations," Tracey says. The Canadays may not have invented snowboarding, but their methods and infrastructure have built a business that's worth copying.